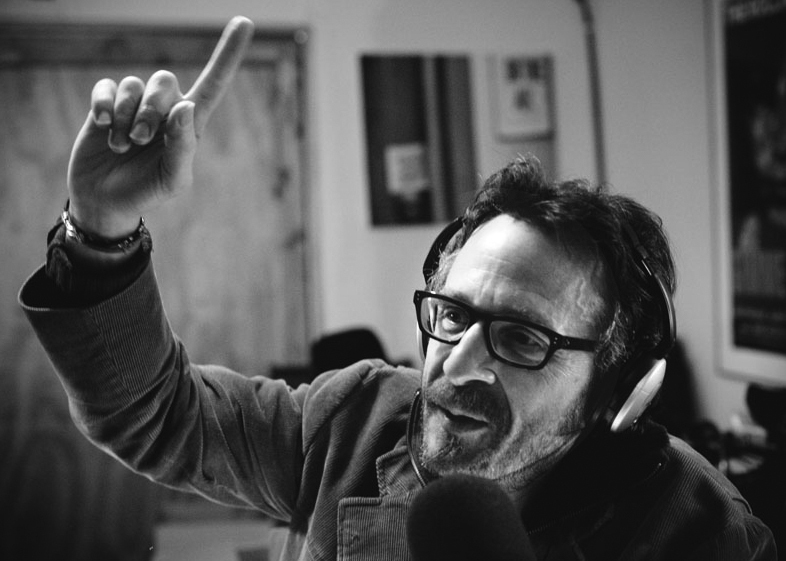 Comedian Marc Maron’s podcast WTF is all the rage nowadays. For 17 months he’s been building a steady, loyal audience, eager to hear him rant, rave, opine and hangout with friends, enemies, and frenemies, most of whom are fellow comedians he’s known over his two decades in the Business. Thanks to recent articles in the New York Times and Rolling Stone, he has more listeners than ever—and frankly, with coverage like that, I hesitated to write this post. I wasn’t sure I had anything to add to those accolades, but I’ll give it a shot. Since I had already done some sound editing for Jonah on a prior project, he brought me on-board in the early stages, which made me privy to his creative process. I recorded most of the narration sessions, which is when Jonah and Marc worked together the most intimately. There were several sessions, all progressively shorter than the last. In the end, there was almost 10 hours of studio time for a mere 10 minutes of voice over. Time marched on. Jonah and I remained friends, and I knew Marc was still on the comedy club circuit. A few weeks ago, I heard about is podcast, WTF. I was immediately drawn to it because comedy analysis amazes me (i.e. Steve Martin’s autobiography, Born Standing Up; the documentary Comedian with Jerry Seinfeld; The Aristocrats). Why we laugh; why we need to laugh; what power does laughter have over our emotions, our thinking, our bodies; and so on. Marc and his guests are expressing my fears, my anxieties. For example, Paul Provezna discussed his career-crippling stage fright a few years ago, which he finally realized was a reaction to no longer being a young comedian. And Louis C.K. and Marc dissected the ups and downs of their 20 year friendship, one peppered with love, jealousy and regret. And many humorously vent about the conditions of their bodies as they enter the “other side” of their lifespan. And in all of these instances I’m nodding my head in agreement or shaking my head in relief or wondering how the Hell did they climb into my head and pilfer my thoughts and feelings. Does this mean the podcast doesn’t have value for others, for those that don’t fit that demographic? Obviously not since it’s drawing huge numbers. Does this kind of probing make it any less entertaining? Probably a little. But comedy has been entertaining me my whole life, and it’s always nice when it cuts deeper. So, check out WTF, if you haven’t already. And if you drop Marc a line (he responded to my fan e-mail within a day), be sure to ask him about “Stalker Guilt Syndrome.” I’d love to hear him talk about it on the podcast. 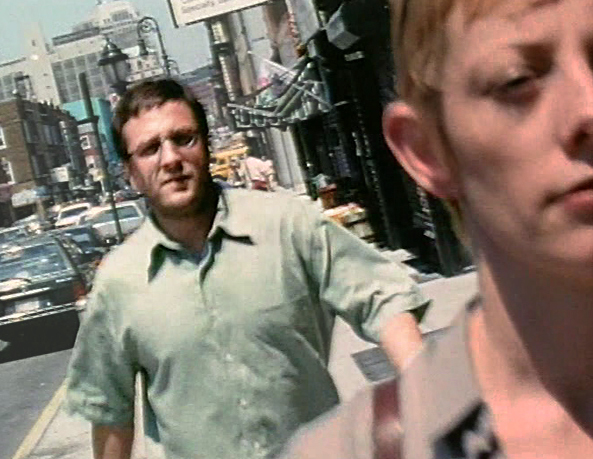 And speaking of Jonah Kaplan’s film, here ‘tis, all 11 minutes of it. And play it LOUD—it sounds great! If you like what you see and want more, check out Jonah’s interview with director Spike Jonze. Good stuff, good stuff. I saw this short ten years or more ago, and it totally stuck with me. Today I came up with the brilliant idea to see if it was on Youtube, and that lead me to your excellent blog. I am a sound designer too — just finished reading your Wilhelm Scream entry with great pleasure — and now look forward to delving further into your archives. I saw that short at SXSW in 2000 and raved about it to everyone I knew. So glad it’s on YouTube. It KILLED at SXSW! I was there too and had a blast watching it. Thanks for reminding me. did some marc maron googlin’ and found this. very funny! thanks for sharing with us.